When Andre Walker is not acting as Lobby Correspondent at Townhall.com covering the work of the British Parliament and Prime Minister, he's sounding off about politics and pop culture across the pond as part of Behind Enemy Lines! A political staffer for 15 years before becoming a journalist, Andre Walker brings a unique ... Maggiori informazioni perspective to American politics mixed with a singular sarcastic wit. You can follow him on Twitter @andrejpwalker and catch him weekly Behind Enemy Lines! 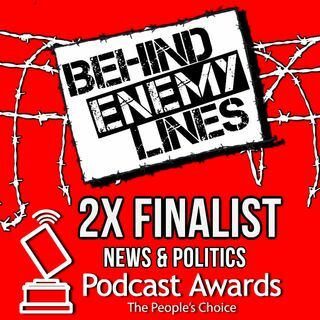 Behind Enemy Lines is a national Award-Winning radio show / podcast broadcasting live out of the belly of the Democratic beast - "The People's Republic of" New York that airs on WJHC 107.5 FM (Jasper, FL), WDDQ 92.1 FM (Adel, GA) and WLBB 1330 AM (Carrollton, GA) as part of the Talk America Radio Network, as well as across ... Maggiori informazioni premium networks streaming across the internet.